It is a sign of Israel’s political degeneration and how the mask of liberalism has slipped that a law has been passed which criminalises and denies funding to any organisation or group that commemorates the Nakba, the expulsion of some ¾ million Palestinian Arabs into neighbouring countries. There was a time when Israel attempted to pretend that the Palestinians hadn’t been expelled, they’d merely run away on orders! Indeed the young Israeli state had done its best to get them to stay (always citing the solitary example of an appeal by Haifa’s Jewish mayor to the Arabs in the city, even as the Labour Zionist militia Hagannah and the Revisionist Irgun were doing their best to terrorist them to leave). But we should also understand that this law is the product, not of strength but weakness. As the Palestinian solidarity movement has grown stronger internationally and as Israel’s Arab population has become more organised and politically conscious, the Israeli state feels its only course of action is to ban that which they cannot defeat ideologically. The new law is a sign that Zionism no longer has confidence in its own message and has to seek to outlaw the thoughts and memories of its victims. Below is an excellent article on this from the Electronic Intifada. A bill was passed by the Israeli Knesset (parliament) last week which calls on the government to deny funding to any organization, institution or municipality that commemorates the founding of the Israeli state as a day of mourning. The bill has become known as the "Nakba bill," referring to the ethnic cleansing of historic Palestine during and before the establishment of the State of Israel in 1947-48. "Law will not influence the way we commemorate the Nakba," Haneen Zoabi, Palestinian member of the Knesset, told The Electronic Intifada. "On the contrary, we must prove to our people and to the state that we will not be afraid from this law and that this will not succeed in oppressing our feeling or our identity. 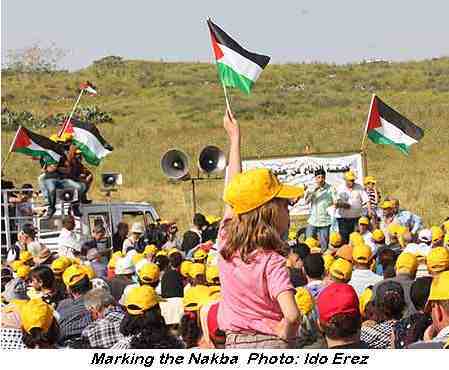 We will commemorate the Nakba in a much more impressive way this year than we ever did." "This is a kind of law to control our memory, to control our collective memory. It's a very stupid law which punishes our feelings. 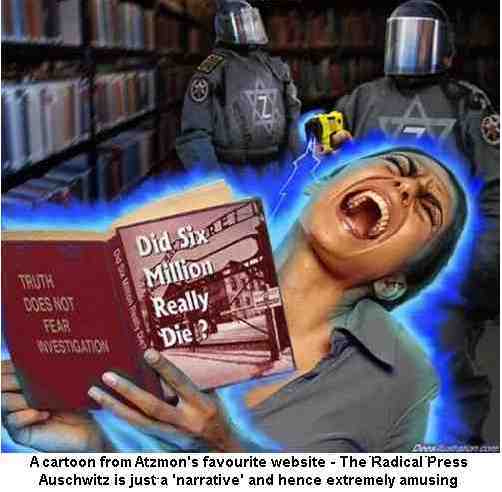 It seems that the history of the victim is threatening the Zionist state," Zoabi said. 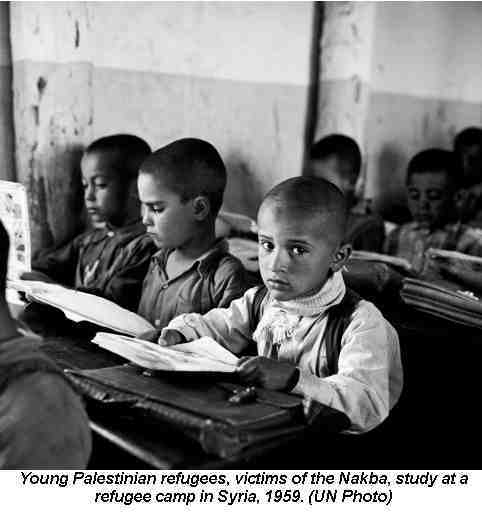 "The Nakba is not just part of the Palestinian history," Zoabi explained. "It's also part of the Jewish history of this land. Because you need two in order to make Nakba. You need the victim and you need the oppressor. It was the Israelis who expelled the Palestinians and destroyed their towns and their villages and stole their land." "It's not a narrative. It is not a political attitude. It's a historical fact,"
she added. Initiated by MK Alex Miller of the ultra right-wing party Yisrael Beiteinu and officially called "Budget Principles Law (Amendment 39) - Reducing Budgetary Support for Activities Contrary to the Principles of the State," the bill would also allow the government fine groups it determines are working against the "Jewish and democratic" nature of Israel or who violate the symbols of the state, such as the Israeli flag. The original version of the bill -- which was subsequently changed due to widespread condemnation -- called for putting any individual who publicly commemorates the Palestinian Nakba in jail for three years. wrote Adalah, the Legal Center for Arab Minority Rights in Israel, in a 14 March press release Adalah: Nakba Law Violates Rights of Arab Minority. "The bill's approval would lead to major harm to the principle of equality and to the rights of Arab citizens to preserve their history and culture. Arab citizens of Israel are an indigenous minority living on its homeland, and their historical roots to this land run extremely deep, and thus their identity must be preserved," the Adalah press release stated. "I would say that the main implication and influence is already there, is already in practice, and is already working. Anyone who wants to do something [to commemorate the Nakba], they immediately have a question about the Nakba law and whether or not they are under any risk," Bronstein, founder and spokesperson of Zochrot, an organization that works to raise awareness of the Nakba within Israeli society, told The Electronic Intifada. "We analyze this law as part of a whole campaign to intimidate anyone who wishes to study, to remember, to mention, to have anything to do with the Nakba. In Israel, it mostly effects and it already effects, from what we see, Palestinian citizens from Israel," he added. "I think it's about time that there will be many more Israelis who participate in Nakba commemorations and not only because of freedom of speech, but to understand how important it is. 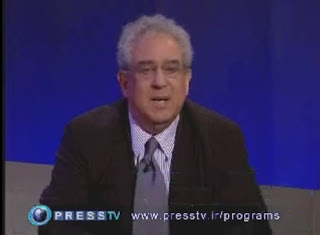 We should take a clear stance in supporting and participating in commemorating it and struggling against the denial of the Nakba," Bronstein said. "Without understanding the Nakba, you cannot of course understand the scale or the importance of this key issue of Palestinian refugees. If we don't address the Nakba, we cannot really address properly our future. Any solution for the future which is not based on addressing this issue of the Palestinian refugees, it will be useless." "The fear of the victim"
More than twenty bills are presently being discussed in the Israeli Knesset that impact -- both directly and indirectly -- the rights of Palestinian citizens of Israel. Included among these bills is the controversial loyalty oath legislation, which would mandate new immigrants to pledge loyalty to Israel as a "Jewish and democratic state" and the "Acceptance to Communities Bill." Passed same day as the Nakba law, the "Acceptance to Communities Bill" formalizes the establishment of admission committees to review potential residents to communities of up to 400 family units in the Negev and Galilee regions, where the Palestinian population in Israel is largely concentrated. "The racist, anti-Arab rhetoric used by some of the promoters of this bill is shameful, but it's important for the public to understand that any one of us could be targeted by this bill. Israeli legislators are about to sacrifice equality and the right of every person to choose their place of residence -- in favor of the extra-rights of the residents of these wealthy communities, who wish to 'select' new residents on public lands," said ACRI Attorney Gil Gan-Mor in a 22 March press release ("Final Vote Today on Nakba Law and Acceptance to Communities Bill"). "Any racist law will succeed within this Zionist and right-wing Knesset. Any law which any fool or any crazy or any hysterical and racist person could imagine, anything, he can pass it within this racist Knesset," Zoabi said. "I think that the message is that there is no place for the Palestinian or the Palestinian identity to be a part of this state. It is a kind of political strategy in order to change the laws of the political game. These laws have a political function. It is not a mere expression of Zionism." "They have a political function of delegitimizing our political struggle. When you delegitimize this struggle, this is the more dangerous thing. You are delegitimizing a political tool, a legitimate tool. This is more dangerous than a mere political or identity expression," Zoabi said. "Behind this law is a fear, the fear of the victim. Behind this law is the ability of the memory of the victim to threaten the legitimacy of Zionism." Originally from Montreal, Jillian Kestler-D'Amours is a reporter and documentary filmmaker based in occupied East Jerusalem. More of her work can be found at http://jilldamours.wordpress.com. Brighton was typical of many places. All the coaches for miles around were booked for the March. We got to the Embankment yesterday at about 11.30 a.m. and went on a detour round East London in order to free up space. The march crawled the mile or so along the Embankment at such a slow pace that it led to many people giving up on going to Hyde Park, not least because of the physical strain of walking so slowly for 2 hours. The TUC March was a demonstration of the anger that people feel as they are called on to make sacrifices so that the bankers and the other ruling class pigs can continue to feed from the swill. That was why hundreds of young kids took to Oxford Street to demonstrate their hatred and anger at fat cat bosses like Philip Green who avoid their taxes whilst bleating about social security scroungers. And the Police, so eager to protect property, do nothing about the real criminals in society whose activities endanger the welfare of all. 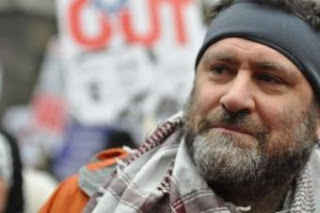 It is scum like Green who pays next to no taxes but rely on the protection of the Metropolitan Police, who last year murdered Ian Tomlinson at the G7 Demonstrations despite not even having anything to do with the demonstration, thanks to 'kettling', who are the real criminals, not those who occupied Top Shop and the Queen’s grocers Fortnum & Mason. It’s only a pity they didn’t manager to rampage around the Ritz too. And speaking of breaking the law, the Metropolitan Police is institutionally corrupt and bent, with the latest revelations of its senior brass having been wined and dined by News International to ensure a ‘light touch’ investigation of phone backing, that fingered no one are as corrupt as they come. 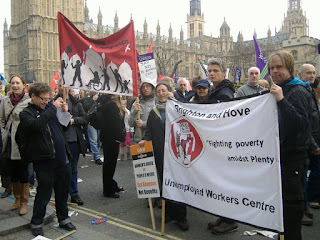 Brighton Unemployed Centre distributed 5,000 leaflets attacking the TUC General Council for having no spine. Backroom boy Brendan Barber, whose only job has been with the TUC selling out working class people, sought to turn the rally into a support march for New Labour. The same New Labour Government that began the attacks against the poor and disabled, which increased unemployment and at the same time forced people to take the first low paid job they were offered. Because of this any radicals were kept firmly off theplatform. Bob Crow, General Secretary of the RMT (rail union), was kept off the platform, even though the march was his idea in the first place! Barber didn’t want Miliband embarrassed. The TUC’s idea of a campaign is waiting 4 years until there is a general election that Miliband can lose. That is why those of us who were on the 2003 March Against the War and similar large demonstrations know that the original figures for the number of marchers were an underestimate. 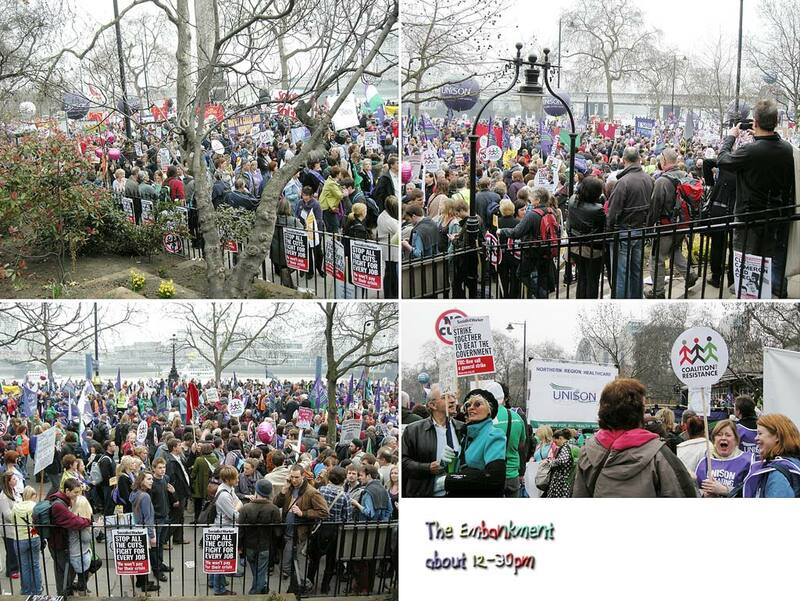 I would say between ½ and 1 million were on the demonstration. It is unprecedented for the Metropolitan Police and the organisers of a demonstration to agree on figures. The only occasion this has ever happened was when the Countryside Alliance exaggerated numbers and the Met was happy to agree with them – surprise, surprise! I notice that in today's news bulletins that the figure has been revised upwards for 400,000 but the report on the BBC site yesterday gave 1 /4 million which the TUC had estimated and with which the Metropolitan Police had agreed. All in all a good day but it is time to begin the fight back against TUC and Labour Party scabs as well as the Tory/Lib Dem coalition government. 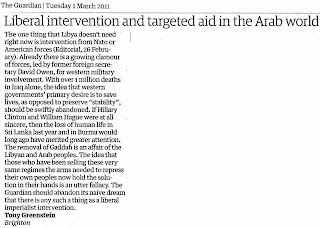 Anyone who believes that the imperialist assault on Libya has anything to do with a justified sense of anger at Col. Ghadaffi’s murder and terrorisation of the opposition needs their head examined. It hasn’t escaped notice that the same ‘supporters’ of the Libyan Revolution have also supported the use of Saudi and Quatarian troops to bloodily put down demonstrations in Bahrain. Ghadaffi, despite being a merciless thug and madman and despite his recent cuddling up to the same imperialist exploiters he is now denouncing, remember his embrace of Tony Blair, has not been forgiven for his earlier bouts of independence such as supplying the IRA with weaponry. 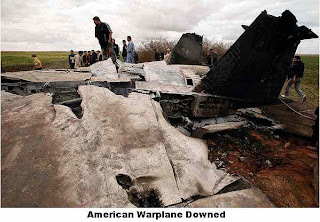 The ‘no fly zone’ is another of those military misnomers such as ‘collateral damage’. 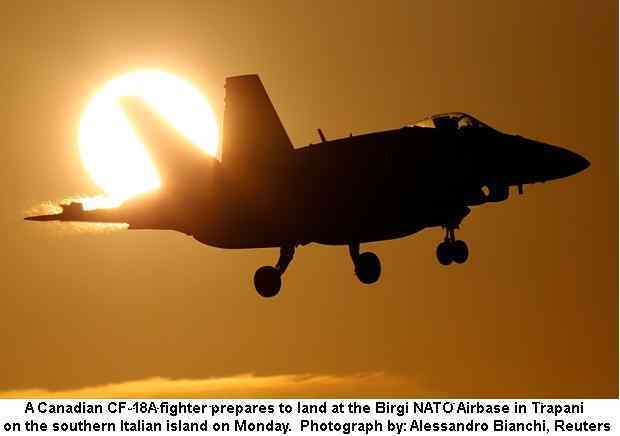 It means bombing cities, military installations, civilians and other ordinance. The idea that there is a ‘clean war’ should have been laid to rest with Iraq. Instead what is happening in Libya cannot but lead either to partition and more bloody sectarianism of imperialist troops on the ground. 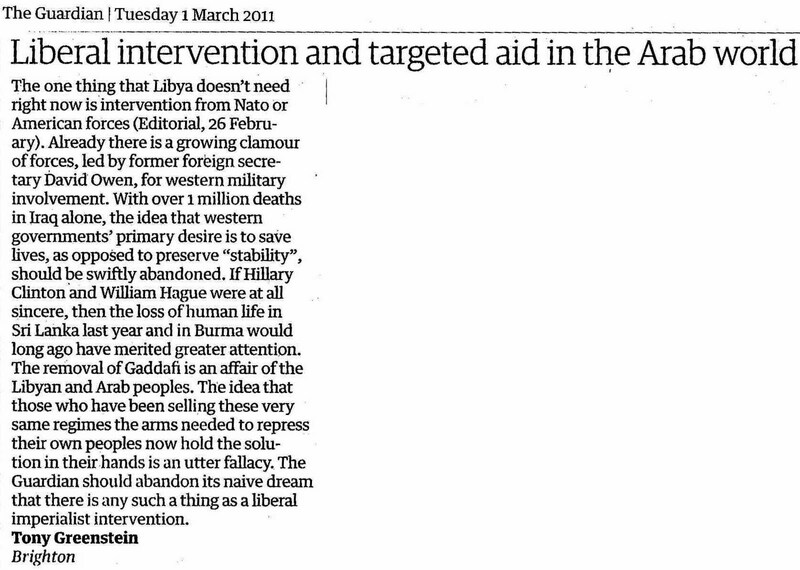 Given that there is little appetite for the latter then Libya is destined, in its own way, to emulate Iraq. Because wherever imperialism goes, sectarianism and religious/racial strife follow it. There is only one answer. The rebels have to capture power for themselves. If the West is so keen to support them then they should have supplied them with weaponry. It is no accident that the Arab League, full of all the worst dictators the Arab world and the USA can provide, has played a key part in the attack on Libya. These collaborators and cowards know loyalty to only one thing – their purse. It will be interesting to see whether that other collaborator, Mahmoud Abbas, allows his people to demonstrate against the imperialist attack on Libya. It is interesting to note the hypocrisy of the West. Where were the no-fly zones when Gaza was being mercilessly bombarded in 2008/9? 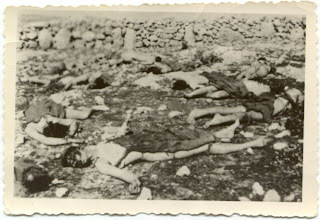 400 children were murdered and more burnt by phosphorous or otherwise injured. Not only was there no no-fly zone but the United States rushed to replenish Israel's stock of missiles and weapons, something dockers in Greece put a block on. 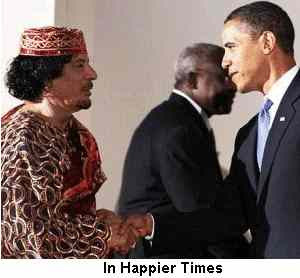 There is only one thing Obummah, Cameron and co. are interested in and it's not freedom for Libyans but the oil they possess. And the attack on Libya is less popular than any similar war I can remember. People have begun to see through the lies of Cameron even earlier than they did with Blair. In the YouGov poll 45% support military action in Libya (45%) compared to 53% who supported the invasion of Iraq after the war had started. 33% think that little or no effort is being made to minimise civilian casualties compared to just 8% who thought the same about Iraq. 43% trust Cameron to tell the truth, compared to 62% who trusted Tony Blair (before his lies caught him out). And only 21% back sending ground troops into Libya, with 69% opposed. A separate poll for ComRes found that only 35% supported the bombing, with 43% opposed. The ads are deliberately designed to appeal to your emotions (& your pocket). Three sad and forlorn white children with the strap line ‘Help Exploited Children’ and ‘Watch our TV Ad’ – and just in case you didn’t get the message it is spelt out repeatedly – ‘Donate Now’. What they don’t tell you is that the search for funds is primarily motivated by the need to keep their staff employed and their organisation ticking over. Children, especially non-white and refugee children, take a low priority. They also don't mention that there is a history of physical and sexual abuse in Barnardos homes. In particular the organisation was extremely anti-Catholic and children who were Catholic were brought up as Protestants. 13 years ago in Brighton we regularly picketed, every Saturday, the Barnardo’s shop in West Street because the organisation was using the last Tory government’s slave labour scheme Project Work to get young people to carry out work at their charity shop. However nothing they did then compares to their latest money-grubbing crime. Participation in the detention up of children who are asylum seekers. When the Tory Lib-Dems came into office, they were pledged to be rid of child imprisonment. At the moment children are detained indefinitely in prisons (detention centres) in order to ensure they don’t escape. These horrific practices were introduced by New Labour and we therefore welcomed their proposed abolition by the Tory-Dems. But we celebrated too soon. At the AGM of the wonderful Greater Lewes Refugee & Asylum Group (most of its membership is elderly but it does a fantastic amount of work) Emma Ginn of the Medical Foundation spoke about how child detention was continuing under another name. And sure enough, a Family Detention Centre is now being proposed to be built at Pease Pottage in West Sussex. It is maybe no accident that the Chief Executive of Barnardos up till January was Martin Narey, the former Head of Prisons at the Home Office. Narey openly called for the ending of universal child benefit last October, anticipating George Osborne's announcement. It may be a coincidence, but those familiar with the Old Testament will recall that Essau sold his birthright to Jacob for a message of pottage. Barnardos have gone one further. They are going to help run a new detention centre for families at Pease Pottage. 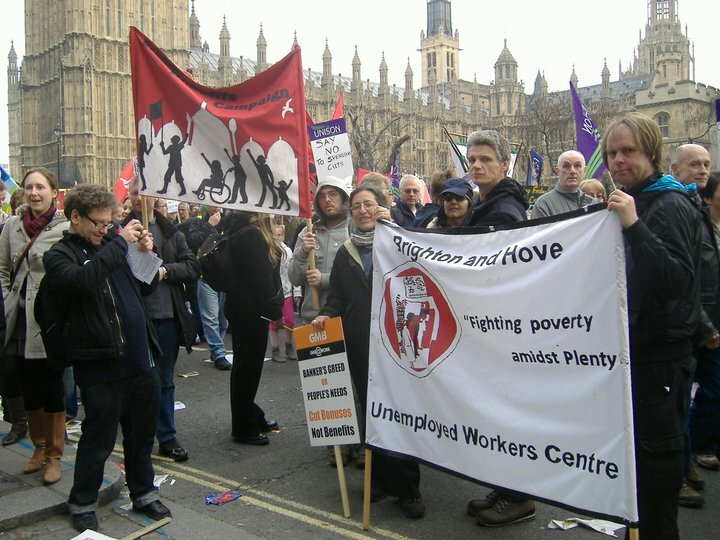 Over a decade ago unemployed activists picketted Barnardos shop in Brighton, forcing them to stop participating in Project Work, a cheap labour scheme with young people coerced into working under threat of loss of benefits. It seems, in their eagerness to lay their hands on ready cash, that Barnardos is up to their old tricks again. The Lib-Dems promised to end the practice of detaining child asylum seekers. Like the rats they are they have ratted out on this one too. Instead there are 'family detention centres' which is no different from what Yarl's Wood and Oakington were supposed to be when they were established. If the kids can't walk out, with their parents, when they want, then it is just a new label on the same old wine. 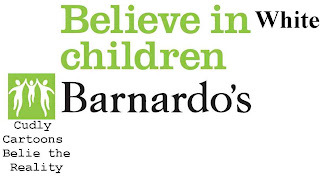 But Barnardos puts itself about as a child friendly charity, all in favour of children asserting themselves and developing unhindered by authority. Quite how these hypocrites can square this with involvement in the practive of child detention (or maybe foreign children aren't really children?) escapes me. Of course Barnardos aren't alone in only having their child-friendly principles on display when money is being sought. The YMCA's behaviour in Glasgow re the accommodation they run, which led directly to the suicide of one young man recently is indicative of a wider trend in the voluntary sector of entering any contract regardless of what it involves if it means extra cash. We would therefore ask people to write to info@barnardos.org.uk and to make a separate complaint to complaints@rednoseday.com, since the latter are funding Barnardos, who probably haven't advertised their involvement in the practice of child detention. And if Barnardos doesn't back off with its involvement in the new detention centre in Pease Pottage we intend to picket the shops of these hypocrites until they understand the meaning of ethical behaviour. In reponse one Sandra Littlebury of Barnardos wrote back . Ignoring the cheery little ‘good afternoon’ – people like Littlebury always like the personal touch – it sounds like a propoganda spiel for the Coalition. Barnardos ‘welcolmes the closure of the family unit at Yarl’s Wood.’ Unfortunately it’s not ending. And then we have a full blooded justification of the policy whose ending they have just welcomed. Barnardo’s ‘recognises’ i.e. supports the use of ‘very short-term secure pre-departure accommodation’ as if the length of imprisonment mattered one jot. Not the term ‘secure’ in other words you can’t leave. How is that compatible with ending child imprisonment? And then of course there is ‘every other avenue’. And thus Littlebury demonstrates, beneath the weasel words of comfort, what a liar she is. What is this 'every other avenue'? Cutting off legal aid from all but the most desperate or lucky asylum seekers? Deporting those in risk of their lives back to their countries because they are unable to become lawyers in another language overnight? Demonising those who are here whilst waging war in their countries? It is also interesting that there are no Black children in the Barnardo's adverts. Perhaps that's just as well. Barnardo’s supports the ending of detention of children for immigration purposes and welcomed the closure of the family unit at Yarl’s Wood. In other words you are collaborating in an inhumane asylum and deportation process which sends people back to repression and in some cases torture. Your suggestion that ‘when every other avenue is explored’ is both insulting and ignorant. You have no idea of what avenues are or have been explored because if you did you’d be aware of the fact that legal aid has now all but been ended for asylum and immigration purposes. In other words you are willing to act as a purveyor of others’ lies. All you are doing is beautifying the system and lending your good name to this immoral process. What you are also doing is getting the Lib Dems and Clegg off a political hook, viz. their promise to end child detention. You say that every year you help turn thousands of children’s lives around. Indeed you do, but perhaps not in the way you meant. It’s a great pity that you didn’t exist in from 1933-39 when you’d have done a wonderful job explaining why Jewish families had really explored every avenue. Just let’s hope you can sleep at night. I have just read with dismay that Barnardo's will be acting as service provider for the new family detention centre at Pease Pottage, Sussex. It may have been repackaged as “pre-departure accommodation”, but however you try to spin this, it is effectively a prison for containing families. Families who will then be returned to countries from which they have fled, often in fear for their lives or having suffered violence & in some cases torture. Shame on you Barnado's for even considering taking part in this vile business. The way we treat refugees in this country is appalling, and now the government are buying the services of 'charities' to make it seem less brutal. 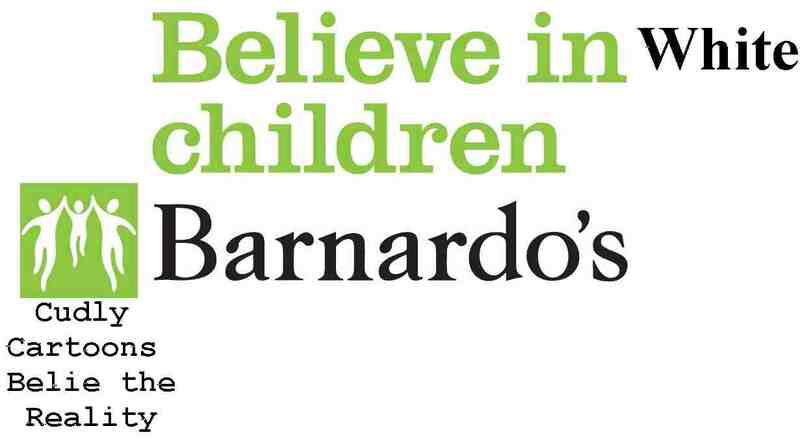 I have donated to Barnardo's in the past, but I will never do so again. One of the few triumphs we have had since the Tory-Lib Dem Coalition took government in Britain in May 2010 has been the retreat over the privatisation of Britain’s woodland. When it was announced that our forests were going to be privatised there was uproar, even from the most conservative sections of the populace. Most people know what happens when something is privatised. It becomes the plaything of the person(s) who bought it. The common good is sacrificed. Since the 1930’s there has been a continuous campaign to open up access to Britain’s beauty spots, much of which were in private lands, most of which the public were prevented access to. One of the few decent pieces of legislation of the New Labour Government was the Countryside and Rights of Way Act 2000, often known as the Right to Roam Act. On Sunday March 20th a rally was called, initially to protest at the Tory Lib privatisation plans, but it turned instead into a victory rally and we went on a 5+ mile hike through Friston Forest, which is in an Area of Outstanding Natural Beauty opposite the 7 Sisters Countryside Park. Dave Bangs, an intrepid campaigner in Brighton for the right to roam and the organiser of many mass trespasses spoke at the rally of how Gerard Winstanley of the Diggers of the English Civil War spoke of how the Earth was given as a common treasury to all. Tory/New Labour politics of privatisation have the opposite belief, that a few individuals and companies are entitled, by virtue of their wealth, to keep out the mass of people from enjoying what should be their common inheritance. He also noted how a number of NGOs and environmental charities had sought not to oppose but merely to ‘improve’ the Tory proposals, groups such as Natural England, and one of the speakers for another group spoke about how ownership wasn’t as important as control, as if you can separate the two. But as was made clear, the Forestry Commission, which does excellent work, sees 10% of its estate privatised every 4 years. In other words, both under the Tories and New Labour there has been 'stealth privatisation'. What Cameron proposed was to quicken the pace. There are a lot of lessons from the 1930’s which need to be relearnt, not least about how only collective action and experience trumps the private and selfish everytime. Here are some pictures from our ramble today. We have had our disagreements outside the Israeli Embassy and Ahava over little things like the EDL lending their support to the Zionists and Israel. True we have occasionally exchanged unpleasantries outside Ahava as Michael Shanahan’s lilting tones wind up ‘Hoffie’ as he is affectionately known. True it is that I have on occasion suggested that he might even be autistic, not that I have anything against anyone with this conditon, as my son is autistic. But never, never in all my years have I known such base ingratitude as the pompously styled ‘International Division’ of the Board of Deputies displayed yesterday. Quite why a British Jewish communal organisation needs an ‘international division’ anyway is or should be a matter of debate. Perhaps they think they are running an empire? Or perhaps they don’t understand that they are supposed to the cheer leaders for Israel, not the other way around. Nonetheless the decision to suspend Hoffie is nothing less than outrageous. When one thinks that come rain or shine Hoffie is there, doing his best to deter people going into Ahava, with we might suggest quite a bit of success., then we have to see the actions of the Board's Placemen for what it is - abject cowardice. Those who have never fought for anything more than a good seat in a restaurant have the temerity to ‘suspend’ Jonathan (yes we’re on first name terms) for being ‘offensive’. With the greatest respect to the Boards International Division, if every time Hoffie was offensive he was suspended (from what they don’t say!) then we’d be running out of rope to hang him with (forgive the mixed metaphors!). As Jonathan says quoting Churchill no less ‘if you made an enemy it shows you stood up for something” and whatever else you can say about Hoffie, no one can deny that he has made more enemies than most of us have had hot dinners. Once again, a man of principle is sacrificed on the altar of someone’s ego. The plain fact of the matter is that this attack on Jonathan Hoffman is nothing less than anti-Semitic. 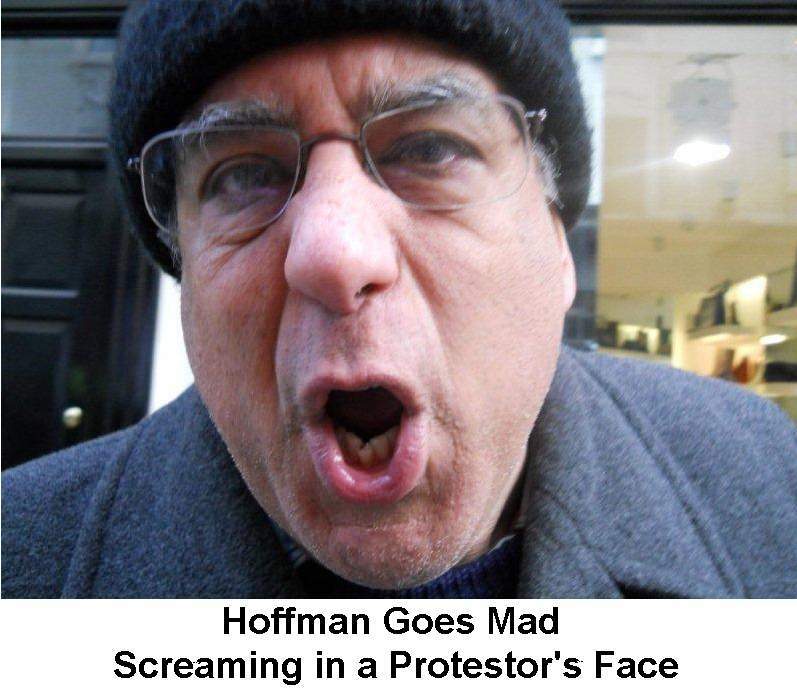 Hoffie has been singled out, not because he is ‘offensive’ (that was why he was elected in the first place) nor because of the abusive e-mails he sends round (it’s like asking a rotweiller not to bark in the dark) but because he is Jewish, nay more, because he is assertively Jewish, unlike the establishment mouses with whom he has to work. 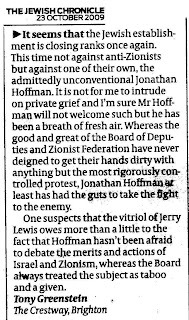 I should make it plain that as with the previous time the Zionist Establishment conspired to get rid of Hoffie, I won't hesitate to send another letter into the Jewish Chronicle in his defence. I have been called today by journalists from both the JC and the JN about what happened at yesterday's International Division of the Board. It seems that someone has breached confidentiality. i therefore consider that I have the right to set the record straight. I hear from a journalist that I have been suspended for a week. I am horrified and disgusted that the Board sees fit to tell the Press about my suspension before they tell me. What happened at yesterday’s International Division meeting is the following. Unrelated to what had gone before (I am not prepared to breach confidentiality further than this) and without justification, the Chair (Paul Edlin) accused me of being offensive to him and others ("some of your exchanges of emails have been very vexating and upsetting"). One Deputy was so incensed at this unsubstantiated and unprompted slur that he walked out in protest. Another Deputy protested in the meeting at this attempt to smear and humiliate me. I then walked out but returned after a couple of minutes. As I entered the room I said to the Chair "one more time and you’ve had it” meaning “abuse me without ground and in public one more time and I will take it further and go public” - at which point I was thrown out by the Chair. Mine was a perfectly justified response to bullying and the abuse of power. I challenge Edlin to produce the "vexating and upsetting" emails as a comment to this blog, so that people can make their own judgment. I am getting used to being smeared by some communal leaders. 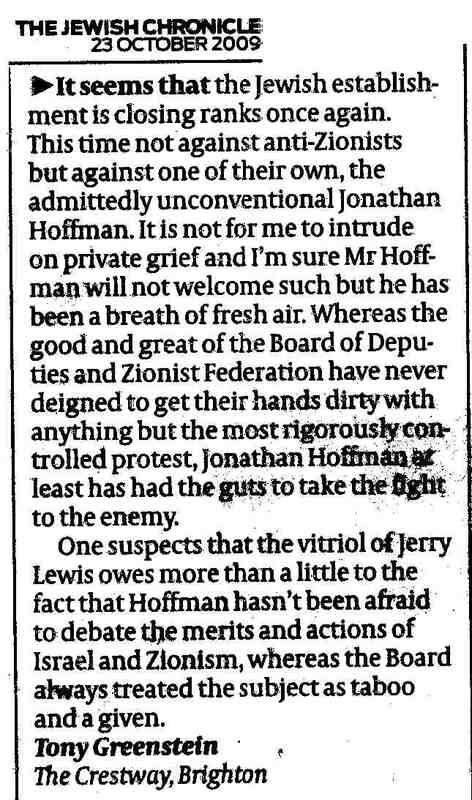 In November 2009 Jerry Lewis accused me in the JC of “damaging both Israel’s case and beyond". (To this day, not a single member of the Board’s Executive has disassociated from this comment!). I take it as a badge of honour that they think I am worth smearing. Certain communal leaders do not like my dedicated Israel activism, the fact that everything I do is done from a basis of knowledge and thought and the fact that I am not afraid to rock the boat where necessary. So be it. I believe that their response is partly due to the fact that I show up their ineffectiveness: they defend by attacking. As Churchill said "if you made an enemy it shows you stood up for something". My record stands for itself, eg being instrumental in the Bathurst-Norman case. (When as a result of my obtaining and analysing his summing–up in the EDO case in Brighton, the Office for Judicial Complaints censured Judge Bathurst-Norman for anti-Israel bias). Let others be judged on their record too. Let's look at the verdict of my effectiveness from the estimable veteran advocate Isi Leibler, formerly of Australia, now of Israel. More than anyone else, he was responsible for turning around the standing of Israel in Australia. Leibler wrote in the Jerusalem Post in 2009 lamenting the 'erosion and marginalisation of most Diaspora Zionist organisations, with a few notable exceptions.' I asked him if the UK ZF was one of his exceptions. I quote Leibler's response with permission: "For many years the UK ZF was low profile and inconsequential. It is only in recent times since you and a few others stood up to the trembling Israelites purporting to lead the Jewish community that it became one of the exceptions I mentioned." 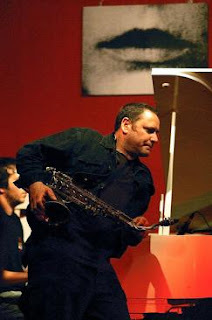 Why, you might ask, devote time, space and an article to Gilad Atzmon, the ex-Israeli jazz player? The answer is simple. It is because of the Zionist canard that anti-Semitism equals anti-Zionism. 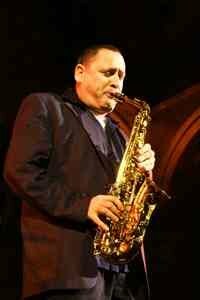 Atzmon is determined to prove the Zionists are correct. Last week there was a taster in the Weekly Worker. But I can’t post a link because the site has been hacked! However the following article, which is without commentary, lets Atzmon speak for himself. is more comprehensive and if you click here then you can have the unexpurgated version, including an introduction. I have been told by people that the links to the longer article weren'tt working. I think I've solved it now! ‘ultimate self-hater’ is ‘a secular, cosmopolitan, peace lover, inspired by humanistic views, in a mixed married, living in the Diaspora… who makes Zionism into a dynamic movement… who serves as an inside enemy’. Jewish anti-Zionists are a fifth column ‘who will convert (to Zionism) in the next anti-Semitic wave… who makes Zionism into an eternal struggle for ‘Jewish salvation’. ‘Accordingly, if we regard Jewish identity as a national definition then … by doing so we accept the notion of Jewish nationalism.' In other words, we become devoted Zionists. When leading Zionist and anti-boycott campaigner, solicitor Anthony Julius wrote a 2 part article ‘Jewish Anti-Zionism Unravelled’ Atzmon was effusive in welcoming it. It confirmed everything he had ever written or spoke about concerning the enemy within, anti-Zionist Jews. A telling remark because Atzmon believes that supporting the Palestinians and being anti-Semitic go hand in hand, whereas they are in counterposition. And Ben Frommer: “The fact is undeniable that the Jews collectively are unhealthy and neurotic.” (Ben Frommer, The Significance of a Jewish State, Jewish Call, Shanghai, May 1935, p.10. “The enterprising spirit of the Jew is irrepressible. He refuses to remain a proletarian. He will grab at the first opportunity to advance to a higher rung in the social ladder.” (The Economic Development of the Jewish People, Ber Borochov, 1916. Which was no different from the Nazi belief that you need to put ‘national soil’ beneath people’s feet. Hence why Baron von Mildenstein of the SS and Jewish Desk at the Gestapo, whom Eichman succeeded, went on a 6 month tour of the Yishuv and Kibbutzim at the invitation of the Labour Zionists and when he came back wrote a gushingly approving 12 part series in Der Angriff, Goebbel's paper in 1934. [Jacob Boas, History Today, January 1980, pp. 33-38]. "A Jew brought up among Germans may assume German customs, German words. He may be wholly imbued with that German fluid but the nucleus of his spiritual structure will always remain Jewish, because his blood, his body, his physical racial type are Jewish." (Vladimir Jabotinsky, 'A Letter on Autonomy', 1904). In other words, Atzmon’s whole anti-Semitic philosophy is borrowed from the writings of Zionists. We should not be too surprised. Atzmon was brought up in a Revisionist Zionist household. He may have recoiled against the consequences of what Zionism has done to the Palestinians, but he has never rejected the ideological and theoretical framework of Zionism. Atzmon approves of Weizmann’s belief that ‘Jewishness is a unique quality that stops the Jew from assimilating within the nation he is a citizen of. He will always remain an alien.' Likewise Jabotinsky's remarks that "A Jew brought up among Germans may assume German customs, German words. He may be wholly imbued with that German fluid but the nucleus of his spiritual structure will always remain Jewish, because his blood, his body, his physical racial type are Jewish." ('A Letter on Autonomy', 1904). anti-Zionist Jews are comparable to ‘a dozen exiled German dissident intellectuals’ who criticised Churchill for insisting that it was Nazism not the German people who were responsible. Zionism doesn’t mean a thing for the contemporary Jew born in Israel. Zionism is a Diaspora-orientated notion. Zionism is there to differentiate between Abe Foxman and Roland Rance. Both are Jews, both operate in racially segregated political cells, yet, one is a Zionist the other is a Jewish Anti-Zionist (big deal). When it comes to Israelis who were born in Israel, the idea of a Jewish State isn’t something to celebrate. For Israelis, a Jewish State it isn’t something you have to aim towards or ideologically endorse. Being an Israeli means being a Jew and living in a Jews-only State. When I joined the IDF 25 years ago, I did it because this was the only available interpretation of my Jewishness. I was a Jew living in the Jewish State and joining the Jews’ army was the natural outcome. In November 2005, Amir Peretz, an Oriental Jew, and former head of the Zionists' apartheid 'trade union' federation, Histadrut, was elected to lead the Israeli Labor Party. In July 2006 Peretz, as Defence Minister, launched a war on Lebanon killing over 1,000 civilians. Peretz has now left the Israeli Labor Party and joined its former leader Ehud Barak in a new party ‘Atzmut’ (Independence). An insight into Israeli identity written in the middle of Israel’s attack on Gaza is more an insight into Atzmon’s identity. Like most people, he was appalled at Israel’s carnage but to suggest that ‘The Jewish state is the ultimate threat to humanity and our notion of humanism.’ is to lose all sense of proportion. At the very same time that Israel was bombing Gaza, Sri Lanka was laying siege to the Tamil populated areas in the north of the island. Thousands are reported to have died. No doubt Israel supplied some of the weaponry but to label Israel as the ‘ultimate threat to humanity’ is to exonerate the United States. One wonders whether Ahmedinajad is an example of these universal ethics or Mubarak? Or the Saudis and USA? ‘Our academics are suppressed, and scholarship is silenced’. Atzmon agrees with Alan Dershowitz that if Israel is a colonial state, then whose mother country is it. Gabriel Piterberg, The Returns of Zionism, Verso 2008, pp. 260, 278. ‘Being Askeno-centric, the Issue of Sephardic and Arabic Jews was totally ignored by the Jewish (national) socialists. I would assume that the Bund expected Moroccan Jews to learn Yiddish…’. ‘We do not need “working class politics” anymore. The old 19th century clichés can be dropped’. ‘from a Marxist point of view I am associated with the most reactionary forces: I support Muslim Brotherhood, Hezbollah, and I support Hamas. … I am the ultimate reactionary being.’ Who could disagree? ‘the demarcation between racial identity and nationalist identity is very ambiguous’. ‘Race may sound a bit abstract. Let’s call it racial brotherhood, cultural supremacist views, blood orientation and so on.’. 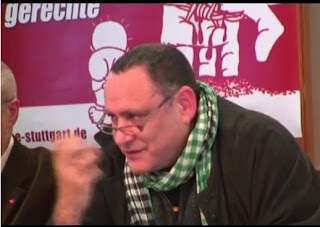 The SWP does not believe that Gilad Atzmon is a Holocaust denier or racist. However, while defending Gilad’s right to play and speak on public platforms that in no way means we endorse all of Gilad’s views. We think that some of the formulations on his website might encourage his readers to feel that he is blurring the distinction between anti-Semitism and anti Zionism. In fact we have publicly challenged and argued against those of his ideas we disagree with. We do not believe that Gilad should be “banned” from performing or speaking. “No Platform” is a principle that the left has always reserved for fascists and organised racists. Where other disagreements occur, the left, with the same vigor, has defended the right to freedom of speech, debate and the clash of ideas. "I love Socialist Worker. It is the only newspaper in Britain which campaigns against Israel." It is indeed about time that Jewish people with influence in art, academia, business and the media raise their voices against Israel’s crimes and its supportive lobbies around the globe. It is rather crucial that Jewish people should openly succumb to true ethical and universal thinking rather than clannish monolithic discourse solely concerned with tribal maintenance. At the heart of Atzmon's anti-Semitic and reactionary argument is the idea of 'Jewishness'. The actions of Israel are not caused by Zionism, which barely exists, but by a Jewish ideology which he terms Jewishness. It is made of racial superiority, exclusiveness, exclusivity, lack of empathy for others etc. Anyone with even an inkling of knowledge of other colonial situations will recognise that these aren't Jewish or Christian or any other religious or ethnic quality, but exactly the same type of behaviour displayed by all colonists, especially settler-colonial societies. Were South African whites, almost all of whom were Christian (Jews were only taken into the laager after 1948, as part of support by South Africa for Israel and Zionism) any different to how Israelis behave? Did they not demonstrate all the above 'qualities'? Or the Irish Protestants? It is in the nature of colonisation. That is indeed true, indeed Zionists such as Pinhas Rosenberg even described Israel as an institute for the 'fumigation of Jewish vermin.' Journal of Israeli History no. 8, 1983. The problem is that Atzmon accepts wholesale the Zionist thesis. He accepts that the Diaspora Jew, unlike the national Zionist, was not a civilised human being. There lies the central core of Atzmon's racist and Zionist outlook. Of course the fact that there was an Israeli army or an Israeli state or the need to constantly be on guard against the native and dispossessed Palestinian is a product of Zionism. Indeed Israeli expansion and colonisation cannot be explained in any other way. That of course is true also. Early Zionists did indeed reflect the stereotypes of Jews that anti-Semites perpetrated. They took them to heart and accepted that Jews were essentially an 'abnormal' people without a land of their own. The solution? Colonisation of Palestine. And that is why Atzmon ends up endorsing the Zionist solution even if he doesn't like what he sees. The text was later changed. 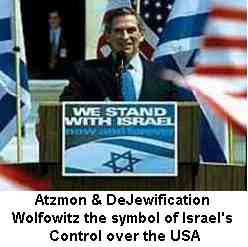 ‘the Jewish people’ became ‘Zionists’. In the Guardian’s Comment is Free, Atzmon admitted to having changed the wording of this article. Oliver Kamm, a virulent anti-communist, banker and Times columnist has also documented the above changes. 'The Zionists have no intention of living in a Jewish state in Palestine. ‘What they really are aiming at is to establish a central organization for their international swindling and cheating.’ A. Hitler, Mein Kampf. pp. 184-185, trans. James Murphy, April 1942. ‘The J’s are the ultimate chameleons, they can be whatever they like as long as it serves as some expedient. As soon as you criticise their expansionist militant national beliefs (Zionism) you hurt them as a race (Semites),… When you condemn their racist tendencies, they are transformed immediately into an innocent cultural identity… when it was right to be a Socialist they were right there in the forefront of the Bolshevik revolution, now when it is hard capitalism that sets the tone, you read about them in the Wall Street Journal, they are the new prophets from Manhattan. Life is never boring for ‘J’ people.’ It’s one never ending (Jewish) conspiracy. if indeed the crimes against the Palestinians are committed by the 'Jewish State’ in the name of the 'Jewish’ people, before any progress can be made, we first must grasp what the word 'Jewish’ stands for. In other words, it is Jewishness which I am trying to contemplate…. if it is the Jewish State that is engaged in terrorising the Palestinians, we better understand once and for all what hides behind the notion of Jewishness. ‘Jewish political pressure groups both in the left and in the right, both Zionists and anti-Zionists, … fight to keep the differentiation between Judaism, Jewishness and the Jews as blurred as possible. … (it) allows them to dismiss any possible criticism of Israel and its lobbies as being a racist assault.’ ‘Jewishness is an Ideology’. Saying NO to the Hunters of Goliath 4.10.09. ‘often I am accused by left Jews of being an Anti-Semite. … Once the Zionists had managed to establish their Jewish state, any form of anti Jewish sentiments should be comprehended either as a private case of xenophobia or as a political retaliation to Israeli/Zionist atrocities. In other words, the title Anti-Semite became an ‘empty signifier… no one actually can be an Anti-Semite and this includes me of course.’ ‘No one has ever dared challenge my philosophical ideas. Instead of doing that, they label me. They call me names, they misquote me, they lie and they are very quick to believe their own lies. In other words, based on their responses, they are Zionists and they behave like ones…. Atzmon demonstrates an extreme version of what some would call a narcissistic personality disorder. The best definition of Zionism is apparently criticising or opposing Atzmon! ‘(Shraga) Elam the crypto-Zionist is acting as an ethnic campaigner Greenstein… Shell report them to the Jewnited Nation.’ (subsequently removed). ‘‘Mary i have seen this Goodwin on Socialist Jewnity… It is pretty funny, all those socialist crypto Zios are as well H scholars… they know what, how when and how many… But they never come up with an answer…their Job is to maintain the Zio H narrative in the left… somehow, it doesn’t work anymore.’ 11.1.08. ‘The Scholars who are engaged in the study of the Holocaust religion…. happen to search for the theological dialectic (Marc Ellis), … the commandments (Adi Ofir),… its historical evolution (Lenni Brenner), … its financial infrastructure (Finkelstein). Interestingly enough, most scholars who are engaged in the subject of Holocaust religion are engaged with a list of events that happened between 1933-1945. [Here we have a good example of Atzmon’s hint that he is at one with holocaust deniers but for reasons such as his career, he can’t afford to come out and say so openly - TG]…. ‘To regard Hitler as the ultimate evil is nothing but surrendering to the Zio-centric discourse. To regard Hitler as the wickedest man and the Third Reich as the embodiment of evilness is to let Israel off the hook... Hitler has never flattened a country for no reason at all, and this is exactly what the Israelis have been doing in Lebanon for four weeks already and in Gaza for years and years…. Note: For three days, in April 1941, German bombers raised Belgrade to the ground. William Shirer, The Rise & Fall of the Third Reich, p.988, Pan Books, London, 1964. Hitler’s plans for Russia included the mass starvation of 30 million Russian civilians and the complete razing to the ground of Moscow and Leningrad. 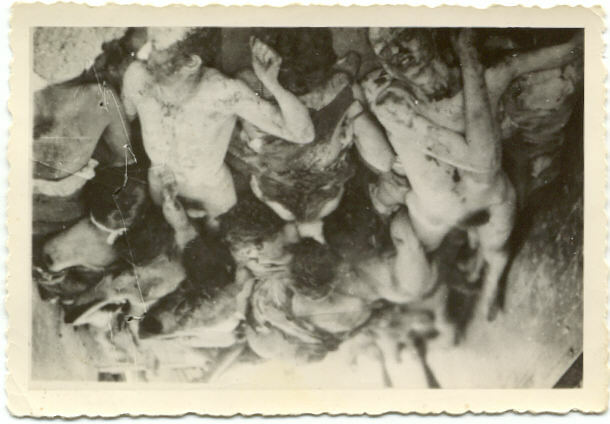 to say nothing of the wiping out of Lidice or mass murder in Oradour-sur-Glane. "Above all we need more individuals to make a stand. The Archbishops of Canterbury and York should go further and call for more Christians to work in the city." The Observer 28.9.08. It also came as a complete surprise to John Reynolds who, once he’d recovered, threatened to sue for libel. Atzmon therefore issued a ‘Clarification’ and fulsome apology. Historically rich Jews have made donations to the Labour Party, whereas non-Jews chose the Tories. In Harold Wilson’s days it was Lords Kagan and Grade who contributed. The reasons are not difficult to understand. Because of anti-Semitism, Jews gravitated towards the Labour Party. Likewise today Asian millionaires such as Lords Gulam Noon and Desai contribute to the Labour Party, though not with a Zionist agenda! But for Atzmon what is important is the Jewish origins of the donors. 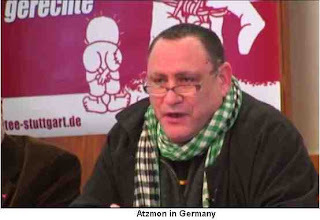 Atzmon’s purpose is to link political corruption and Jews - TG. Gilad Atzmon Interview: Tangling with the Oppressor - What really matters is what Palestinians Do July 5, 2007. It’s not only holocaust deniers and anti-Semites who idolise Atzmon. Zionists too find him good company. His attacks on Jewish anti-Zionists attract their admiration. 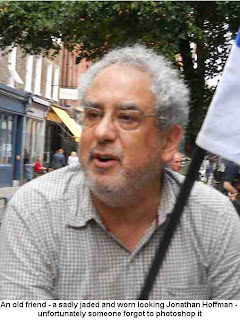 Zionists from the rabidly racist Harry’s Place blog, including David Taube, who runs it are happy to socialise with him. 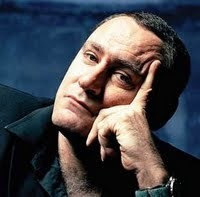 ‘invited me for a drink with Gilad Atzmon.’ Taube was quite bowled over. Atzmon was ‘utterly charming and a delightful drinking companion’ entertaining them with his new album in the taxi home. ‘Not in the narrow sense of being preoccupied by genetic differences between people, certainly. He is rather, I think, a ‘cultural essentialist’. This may be one reason why Atzmon looks favourably on Zionism, if not all of its deeds. Attachment to the soil was also seen by the Nazis as an essential component of national identity, in particular by its Agriculture Minister Richard Darre. But if Atzmon and the Harry’s Place Zionists make ‘charming and delightful’ drinking partners, the same is not true for those of us without authentic cultures grounded in the soil. But none of this should be any surprise since Mikey acted as the unpaid informer for Atzmon in his battles with Jewish anti-Zionists! This didn’t however stop Atzmon supplying an article ‘The Primacy of the Ear’ which the owner of The Radical Free Press expresses his thanks for. 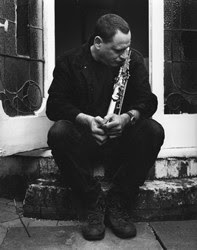 And what could be more fitting than Atzmon sending them ‘my Christmas Present - Liberating the American People, a free ride with my quartet on youtube. Merry Christmas and Happy New Year – Gilad. The Chair of DYR, Daniel McGowan, also contributes an article ‘What does the holocaust mean’. Which must have been difficult to write for someone who doesn't believe there was a holocaust! Guilt by association is something we should all be wary of, given its association with McCarthyism. But Atzmon welcomes the support of neo-Nazis, fascists and anti-Semites. If Atzmon were seriously opposed to racism, including its anti-Jewish variety, he would react when someone like David Duke, a former Grand Wizard of the Ku Klux Klan, paid him tribute. Atzmon is perfectly happy with having a ‘preface commentary by Dr. David Duke’ to his ‘Hunters’ article (3.4.07). The only response was for Mary Rizzo to put up links to Duke’s site on her blog, before we embarrassed her into removing them. Duke urged his followers to read Atzmon’s ‘From Esther to Aipac’. I’ve laid out a sample of Atzmon’s writings. Judge for yourself whether you can honestly say that Atzmon is not anti-Semitic and that his writings make any contribution whatsoever to the Palestinian cause.